For the best seamless siding company for your home in Albuquerque, New Mexico, or a surrounding area, turn to ABC Seamless of Albuquerque. 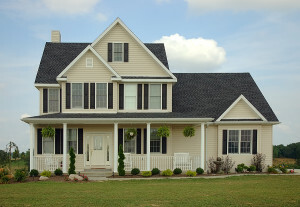 Founded in 1989, we specialize in installing maintenance-free products that will make your life easier and increase the curb appeal of your home. Perhaps the best aspect of our siding is that, thanks to our method of custom fabrication, we are able to make it fit seamlessly to the exact dimensions of your home. Additionally, you can feel safe that your new siding will always be protected when you select ABC Seamless of Albuquerque as your siding company. This is because we offer a limited lifetime warranty in addition to the industry-leading manufacturer warranties on the products that we offer. For more information about working with a top-notch siding company for your home in Albuquerque, NM, or a surrounding area, contact ABC Seamless of Albuquerque today. Or, for a closer look at all of our products, feel free to stop by our showroom to see everything that we have to offer.